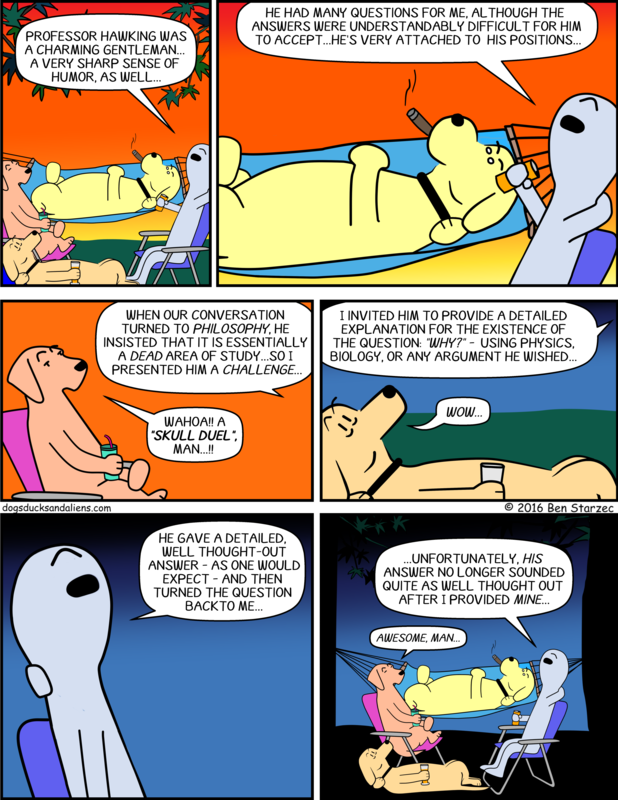 The official 200th Dogs, Ducks and Aliens comic strip!!! Mega congratulations on number 200 Ben! May DDA go from strength to strength. I wonder if the answer to this is like the answer to life, the universe and everything in the Hitchhikers Guide To The Galaxy.